Order gas or diesel-powered high-speed Eagle cargo tractors from Eagle Tugs. 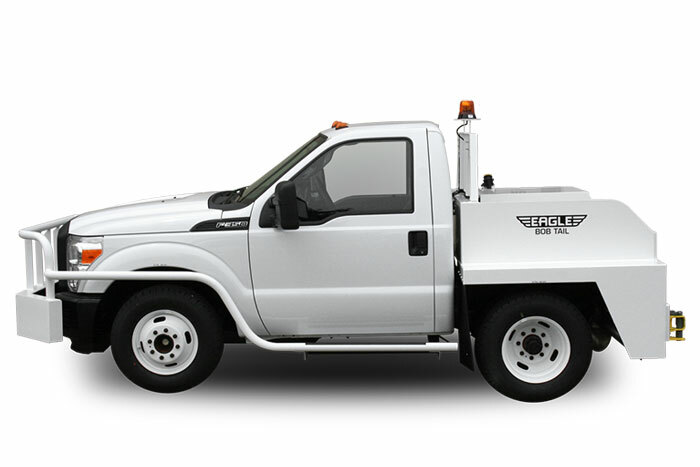 Built on the Ford F350 or F550 chassis, these bobtail tow tractors will meet your cargo hauling needs. 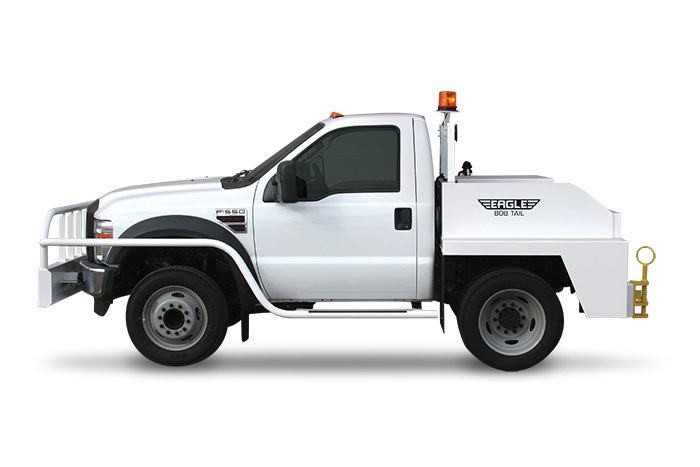 Choose from a 5,000, 7,500 or 8,000 lb cargo tractor for towing. Eagle was the originator of the bobtail cargo tractor over 45 years ago, and still today the Eagle Tugs is the leader in high-speed cargo towing. Get a quote on the EB2-5 cargo tractor, EB2-7 cargo tractor, EB2-8 cargo tractor, and other cargo bobtail tractors today! Ideal for towing 3-4 cargo dollies long distances at up to 25 mph. Ideal for towing 5-6 cargo dollies long distances at up to 25 mph.